Arrive at Cairo airport to be met and assisted by our representative. He will meet you inside the airport with a sign of your name and he will assist you through passport control formalities, luggage identification & portage. You will then be transferred by air-conditioned coach to your hotel, check in & overnight in Cairo. Breakfast at your hotel before meeting your tour guide who will take you on a visit to the Egyptian Museum. 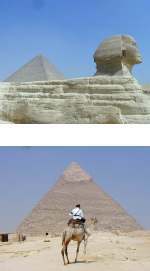 Then visit the Pyramids & the Sphinx, one of the seven wonders of the ancient world. Overnight in Cairo. Breakfast and transfer by flight to Aswan. 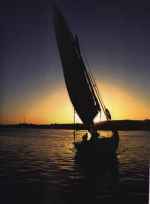 Arrive in Aswan and transfer to your Nile cruise. Lunch, introduction to your guide. Dinner and dancing. Breakfast, then visit the High Dam, the Old Dam and the temple of Philae. Sail to Komombo and lunch. Visit Komombo temple. Sail to Edfu, afternoon tea. Oriental dinner, Galabiya & costume party. Breakfast, visit the temple of Hours in Edfu. Dinner and a disco party. Breakfast, visit the West Bank Valley of the King and the temple of Hatechepsut. Colossi of Memnon, El Deir El Bahari. Arrive Cairo and transfer to your hotel, check in and overnight in Cairo. Breakfast and a free day in Cairo (optional tour of the Citadel and old Cairo) overnight in Cairo. Breakfast at the hotel, then a transfer to Cairo airport for your flight home.